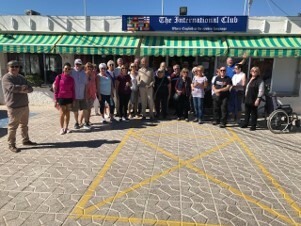 On Saturday the 16th March 2019, a throng of intrepid walkers braved the warm spring sunshine and set off from the International Club in El Campello, for their annual sponsored beach walk. This annual walk is organised by Santa Faz Lodge No.48 and raises funds for the Master’s Charities. 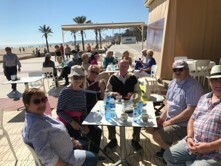 This year, the main beneficiary will be the Nazaret Orphanage in Alicante which also provides education and training for poor and underprivileged children. The walk, along Muchavista beach, with mandatory refreshment stop, is usually completed in about two hours. 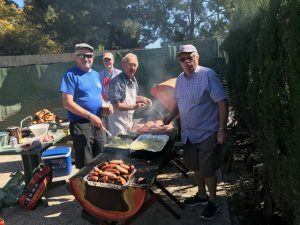 After the walk, a much appreciated Barbecue was enjoyed by over 60 people who then relaxed to the singing of Tony Francis. All in all, a very enjoyable afternoon which raised over €1,400 much needed funds for the Master’s charity coffers.